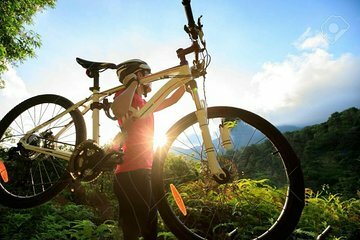 Experience the natural beauty of Costa Rica by bike on a private 12-hour tour. Hop on a provided bike and let your personal guide take care of navigation. As you pedal along Costa Rican roads with Arenal Volcano in the background, keep your eyes peeled for ospreys, toucans, cormorants, and more. Afterwards, feast on a buffet lunch and unwind at Baldi Hot Springs, where you enjoy free admission.